Google Docs has been able to bring wonders to vast people with its quick productivity functions which can be accessed by any computer, however, you're only limited to viewing Google Documents on Android and iOS devices. Things are about to change for the better since Google announced today that editing options will be offered in “the next few weeks” to Android users accessing Google Docs via their handset's web browser. Needless to say that it'll only make the lives of many much easier now that it looks as though that the productivity suite will enable users to accomplish most of their tasks directly on their smartphone. Without a doubt, Android owners will be the first to experience this new functionality, but Apple iPad users will also be included when it's launched. Don't fret if you don't use either an Android handset or the iPad since other mobile platforms will gain the ability to edit Google Docs down the road as well. Amazon has the HTC Evo 4G Black Smartphone - Sprint (Price w/ Plan - New) for the Bottom Low Price of $199.99 with FREE Activation, no tax, and free shipping. Exclusively from Sprint, the HTC EVO 4G mobile phone is the world's first 3G/4G Android handset, offering simultaneous voice and data connectivity and download speeds up to 10 times faster than 3G. Additionally, the HTC EVO 4G can still connect to 3G data services in areas not currently served by Sprint's 4G network (learn more about Sprint's 4G network below). The HTC EVO 4G's 4.3-inch screen is perfect for watching video on the go (see larger image). Packed full of powerful mobile communication and multimedia features, the HTC EVO 4G has a large, vibrant 4.3 inch display and a built-in kickstand for easy viewing of videos--from Sprint TV programming to HD movies captured on the 8-megapixel auto-focus camera. It's powered by a screaming fast 1 GHz Qualcomm Snapdragon processor and Google's Android 2.1 operating system. With integrated Google technology, the HTC EVO 4G brings one-touch access to the popular Google mobile services millions use every day, including Google Search by Voice, YouTube and Picasa. The HTC EVO 4G also provides easy access to both personal and corporate email, calendars, and contacts supported by Exchange Server and Gmail. And through Android Market, you'll get access to thousands of useful applications, widgets and fun games to download and install on your phone, with many more apps being added every day. The HTC EVO 4G also includes HTC Sense, a user interface overlay from HTC that makes it easy for you to create an individualized mobile experience tailored specifically to your needs. 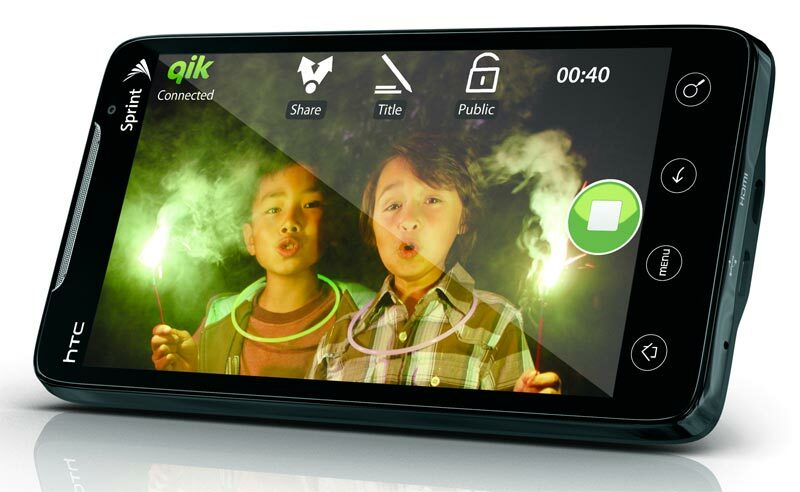 The forward-facing 1.3 megapixel camera makes it easy to have video calls using the two-way voice and video service from Qik (upgraded account service required). And with built-in mobile hotspot functionality, the HTC EVO 4G also allows up to eight Wi-Fi-enabled devices--including laptop, camera, music player, video player and any other Wi-Fi-enabled device--to enjoy the benefits of 4G speeds on the go. Other features include music downloads from the Amazon MP3 Store, microSD memory expansion (8 GB card included; optional 32 GB cards supported), Adobe Flash support, HDMI audio/video output, and up to 6 hours of battery life (learn more about power management on the HTC EVO 4G). Buy.com has the Samsung A990 (Multimedia Phone) (Verizon Wireless) for $249.99 (when purchased with new service plan) with free shipping. You save $150. The Samsung A990 is the first phone in the US with a 3.2 Megapixel camera. Complete with LED Flash and auto-focus, digital zoom, and super-long camcorder function, theres no need to carry around that heavy digital camera any longer! But thats not all this phone can do. Just check out its impressive list of features: Bluetooth, VCAST Music & music player, advanced voice dialing, 3 kinds of instant messaging and on and on. The Samsung A990 sets a new high bar for mobile phones. "What really makes this phone stand out above all other phones is the camera. Pictures taken with this device are of stunning quality. It truly can become a digital camera replacement for you if you still are using a low-end 3.2 (or lower) megapixel camera. Unfortunately, the flash on this phone isn't too hot and is still LED-based, making it weak in dark photos. The interface is very similar to that of a professional-grade digital camera and is easy to navigate and sort through. ... The lens on the back has a protective cover you slide up and down to take pictures with. Just flip the screen over, open the lens, and you're ready to take pictures of friends, family, or whatever you're interested in. Colors are rich and vibrant and come out well. I wouldn't throw out my 6-megapixel digital camera at home yet, but my old Canon camera is definitely out of the picture (pun shamefully intended)." Amazon.com has the Palm Treo 700p Smartphone (Verizon Wireless) (when purchased with new service plan) for $249.99 that's a savings of $355.00 with free shipping (expires 9/2/2006). Amazon.com has the Palm Treo 700w Smartphone (Verizon Wireless) (when purchased with new service plan) for $279.99 that's a savings of $420.00 with free shipping. If you're looking for one compact device that can do it all, here's the answer. The T-Mobile MDA combines a quad-band phone with a Windows Mobile 5.0 PDA with all the bells and whistles: Bluetooth, Wi-Fi, a miniSD card slot, support for EDGE high speed data, and more. And don't forget the unique slide-out QWERTY keyboard that makes messaging, note-taking, and other writing tasks a breeze. The MDA lets you do things you'd typically need a PC to do, like email, text messaging, instant messaging and web browsing-- all from one integrated device. What's more, the phone's software is designed to sync seamlessly with email, contacts and calendar information on your PC. The MDA also offers great mobile music and video options, thanks to Windows Media Player. If you're a smartphone user and love to take photos, this phone is a godsend! No more deciding between a useful business phone and one that's fun to use and can take simply wonderful photos. The N73 has one of the best cameras of any phone on the market, with only Nokia's own N93 and the Sony Ericsson K790 / K800i competing. 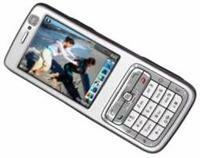 If you don't need smartphone features, then the Sony Ericsson offers serious competition but it can't compete with the Nokia on syncing, powerful PIM applications, Office viewers, PDF viewer and 3rd party software. The phone has excellent reception and call quality with fast data rates over EDGE and good ergonomics (though the straightforward design might seem boring it does make for an easy to use phone). Bluetooth is fast which is a plus when transferring those big photos and videos. The screen is gorgeous! Battery life is good and the smartphone is responsive in all tasks. Pro: Powerful smartphone, best in class 3.2MP autofocus camera, fantastic display, easy to use, great software bundle, Bluetooth 2.0 + EDR, secondary VGA camera with video conferencing is handy for 3G markets, compact by smartphone standards, well built, miniSD expansion slot. Con: No WiFi. Look to the Nokia N80 if you need that. Engaget is reporting that RIM's first cameraphone, the BlackBerry Pearl, will be coming to T_Mobile on Semptember 18, 2006. The BlackBerry Pearl delivers a camera with built-in flash and zoom, Voice Activated Dialing (VAD), polyphonic, mp3 and MIDI ring tones, speakerphone, smart dialing, conference calling, speed dial, call forwarding and Bluetooth® support for hands-free use with headsets and car kits, 65k color 240 x 260 display, microSD memory expansion, 64MB internal flash, and EDGE data.